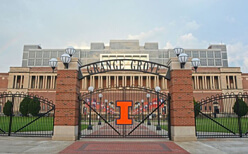 For fencing Champaign, IL has Hohulin Fence to turn to. 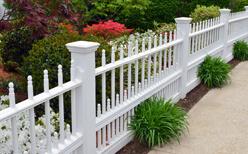 From your ideas to our designs, we provide high quality fencing products. This includes our railings, gates, paneling and more for the people and businesses of Central Illinois. We are a family-owned business, and our goal is to always offer exceptional products as well as outstanding service. This is because it’s the Midwest way. Consequently, it’s the Hohulin way. Therefore, you can count on us to provide commercial and residential fencing Champaign, IL can depend on. In conclusion, for fencing Champaign, IL residents can depend on, choose the reliable name in fencing. Choose Hohulin Fence. Call us at 217-655-9631 or contact us online today!